Home / Beat the heat with these cool savings! UPDATE: This contest has now ended. Please join us in congratulating Donna L. for her winning entry. This amazing Whetstone Deluxe Camping Combo LED Lantern and Fan will keep you cool and comfortable inside or outside of your tent and its 18 powerful LED bulbs will illuminate the night. Enjoy some of the comfort of home while you experience the great outdoors. Simply hang the Whetstone? Deluxe Camping Combo LED Lantern and Fan from your tent or shelter, or stand it on its base and take pleasure in hours of light and fan. Buy it now for $29.99 and get 3 Free Bids! 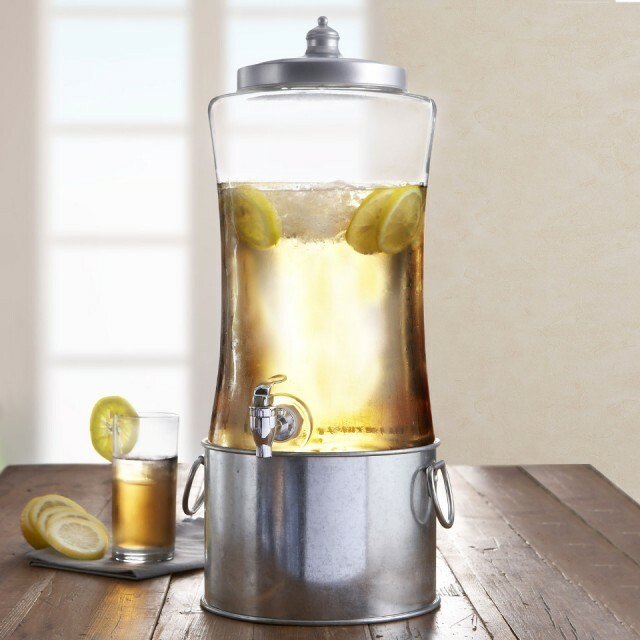 Enjoy this beverage dispenser set from Style Setter. It includes a glass dispenser and a metal ice bucket. The dispenser has a 1.7 gallon capacity. Great for indoor and outdoor parties. Buy it now for $89.00 and get 9 Free Bids! 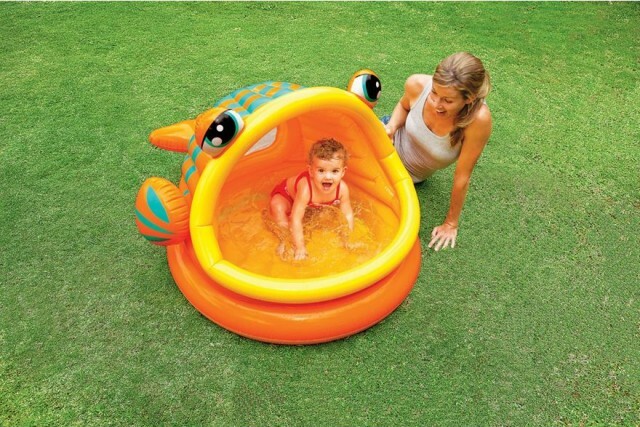 The Lazy Fish Baby Shade Pool with built-in sunshade provides partial protection from harsh UV sunlight. Buy it now for $24.99 and get 3 Free Bids! Oakley reigns supreme in in designing eyewear for the outdoor enthusiast. With a comfy plastic frame combined with grey mirrored lens, these shades keep your eyes protected from harmful UV rays as well as dirt and insects. 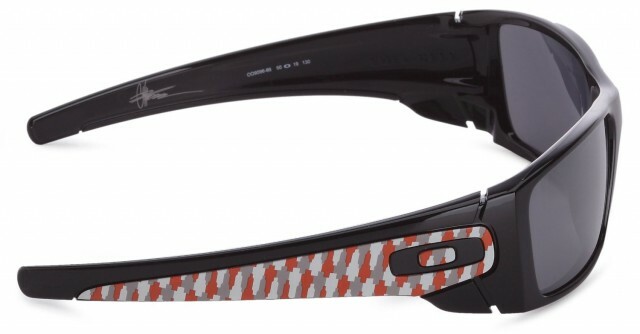 Look like someone who knows what they are doing outdoors by wearing these tough Oakley sunglasses. Buy it now for $133.00 and get 14 Free Bids! The Haven is a portable sun and wind shelter made of 190T polyester with UV 50+ protection that has three mesh windows for added ventilation. 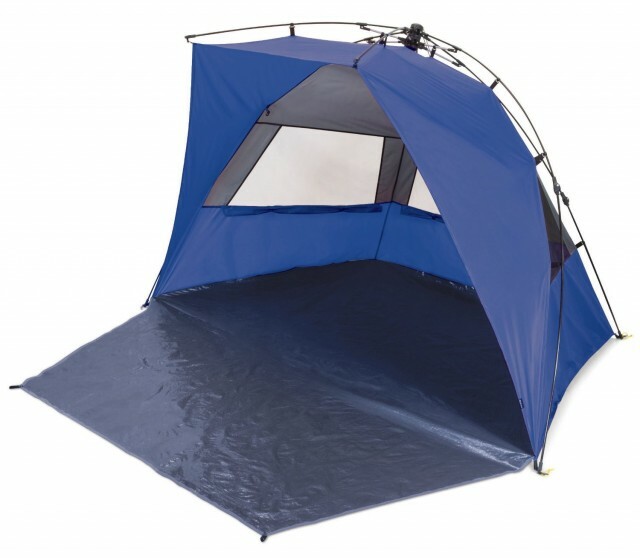 It features a central hub and tent pole system for quick and easy set-up and takedown. Designed to protect against the sun and wind, it offers a generous entrance overhang and a heavy-duty ground cloth that can be folded and anchored to the shelter to act as a barrier against the elements, provide privacy, or secure your personal effects. Three sand pockets, guy lines, and stakes help to keep the shelter secure when it’s windy. The Haven is all its name implies and more. Buy it now for $129.99 and get 13 Free Bids! 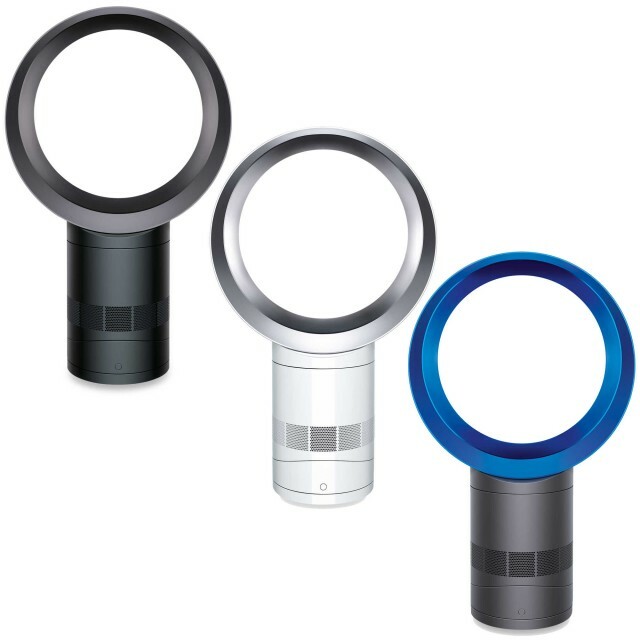 Instead of using blades, Dyson fans use patented Air Multiplier technology for powerful airflow projection. Air is accelerated through an annular aperture, drawing in surrounding air to project a high-velocity cooling airflow. And with no blades, the airflow is smooth – not choppy. With smoother airflow through the machine, the DC motor doesn’t need to work as hard – so less energy is required to channel the air for powerful performance. The addition of a sleep-timer further reduces energy wastage by ensuring the Dyson Cool fan switches off automatically when it’s not needed. Buy it now for $249.99 and get 25 Free Bids! Horn eyeglass frames are unique in coloring and texture, thus each pair of eye frames is one of a kind and makes the horn collection one of the great luxuries in eyewear. Buy it now for $91.99 and get 10 Free Bids! Don’t let these thaw before you put them in your drink! 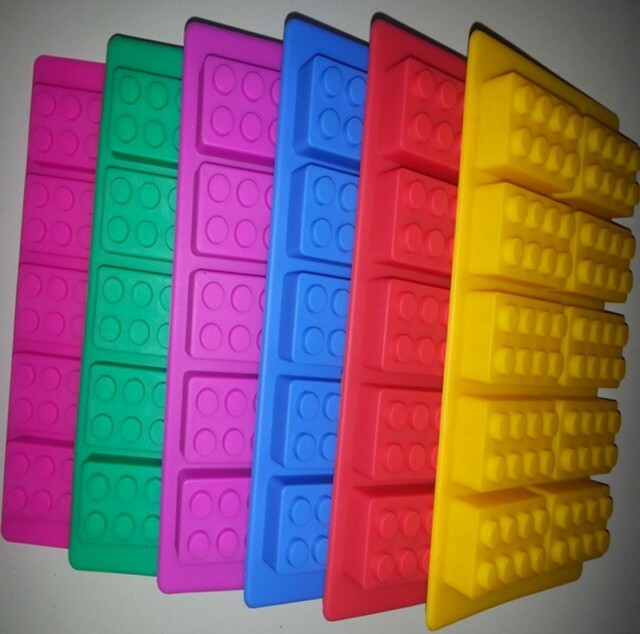 Have fun with your favorite interlocking bricks, then toss them into your drink when you’re done. Buy it now for $14.99 and get 2 Free Bids! The Timberland Men’s Sports Sunglasses are practical and versatile. These sunnies are classic in design making them perfect for everyday wear. Own yours today! Buy it now for $24.99 and get 2 Free Bids! 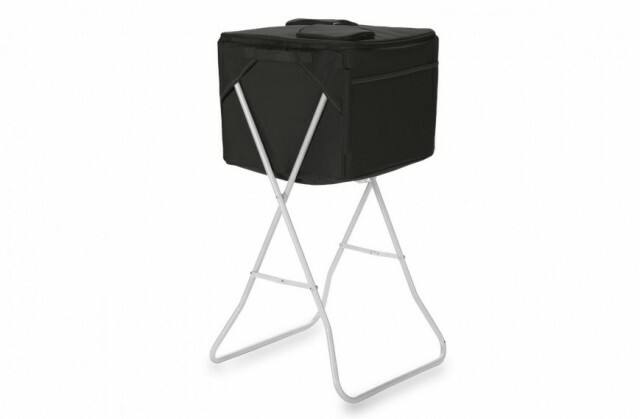 This Stand Cooler is great for camping, picnics, days at the beach or backyard BBQs. This handy little unit is an insulated party cooler with a removable, collapsible steel-frame stand. This cooler features a sturdy polyester exterior, with a water resistant interior and removable divider. Two zippered flaps allow access into each compartment, and the cooler measures 16 by 15 by 13 inches, with a 72 can capacity. One corner of the cooler has a built-in vertical fabric slot that will hold a pole-frame umbrella or a flag. Buy it now for $77.95 and get 8 Free Bids! 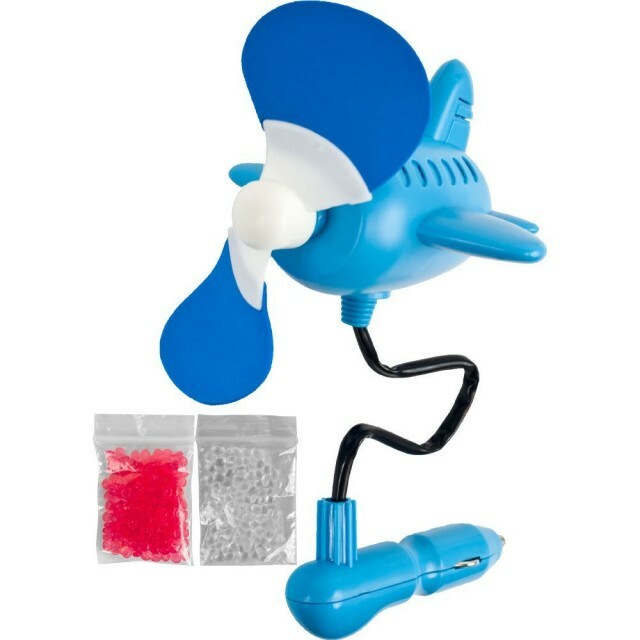 Bring a fresh, pleasant smelling aroma and a little fun to your car with Auto Airplane Air Freshening Scent Fan by Kids and pets can cause unwanted odors in your car. You can blame them, but you cant eliminate them! 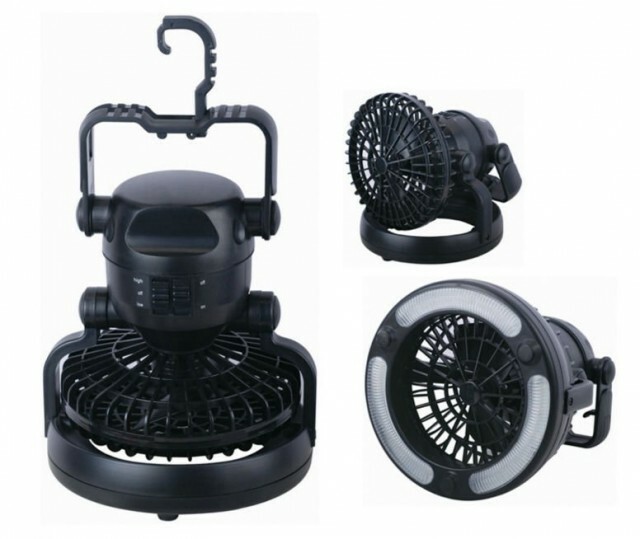 Instead get rid of the unpleasant stench with the Auto Air Freshening Scent Fan. |Just plug this whimsical airplane into your cars cigarette lighter lift the planes tail, insert one of the two packs of aromatic beads, turn on with the push of a button and take pleasure in a fresh smelling commute! Don’t be held captive by a foul smelling car. Reclaim the airspace in your automobile with the Auto Airplane Air Freshening Scent Fan by Tools. Buy it now for $19.99 and get 2 Free Bids!